BABY TEETH: Important or Not? THIS CHILD IS IN PAIN! Just because baby teeth fall out it does not mean baby teeth are not important! Without treatment, decay in baby teeth will spread deep into the tooth causing pain, then cause infection in the jaw bone and gum. The sugar in our diet is converted to acid by the bacteria that lives naturally in our mouths. The acid burns holes in our teeth. This is tooth decay. 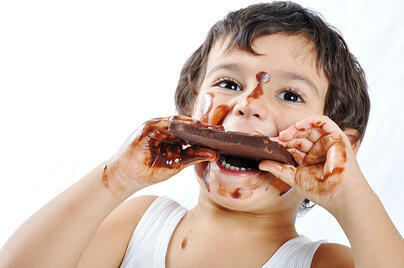 Early Childhood Tooth Decay is caused by the overconsumption of sugar. How OFTEN sugar is consumed is more destructive to the teeth than how MUCH sugar is consumed. Hence the habit that causes the fastest forming and most extensive baby teeth decay is prolonged use of a baby bottle or sippy cup (especially while sleeping): BABY BOTTLE DECAY, seen in the pictures above. When a child is done feeding the bottle should be removed. Milk contains sugar and will destroy the teeth if the teeth are constantly bathed in milk. How long sugar is in contact with the teeth determines if the teeth get damaged permanently. Hence diets high in sugar, especially frequent sugary snacks, especially if they are sticky results in SNACKING DECAY. LIMIT FOODS that have ADDED SUGAR such as pop and candy. It is good for you and your child's tooth health, waist line and overall health. In addition to brushing in the morning and before bed, it is a good idea to brush teeth right after consuming foods with high sugar content to limit the sugar/ tooth contact time. WHEN SHOULD A CHILD FIRST VISIT A DENTIST? 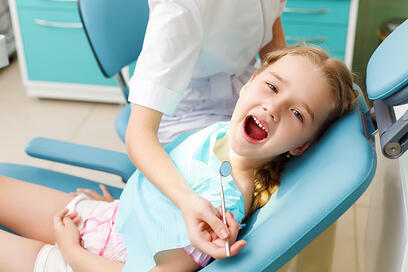 The traditional view is that a child should first visit the dentist around the age of 3. Around this age most children can be persuaded to be co-operative in a dental office setting. They are able to comprehend instructions and most will comply with the initial examination and preventive procedures. THE CHILDREN IN THE FIRST 2 PICTURES ARE LESS THAN 3 YEARS OLD! Their first visit to the dentist was way overdue! A child’s first visit to the dentist should be within their first year of life in order to establish a preventive dental program. 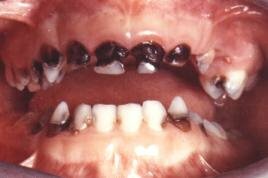 This way the child will be given the opportunity to grow up without ever experiencing tooth decay. Furthermore, the first visit, gives the opportunity for the dentist to inform the family about relevant dental issues (eg. teething, fluoride) and alleviate any concerns that the parents may have concerning their child’s oral health. Teething Baby: Poisonous Teething Remedies that can KILL!